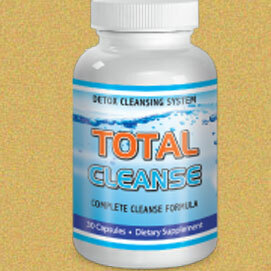 Total Cleanse is one of the best cleansing formulas on the market. This unique combination of natural herbs can promote good digestive health, and help regulate bowel movements. healthy. Consumers wanting to prevent constipation and maintain digestive system can use this product without any know side effects. WARNING: KEEP OUT OF REACH OF CHILDREN. Not intended for use by persons under 18 years of age. Do not exceed recommended daily intake. Pregnant or lactating women should consult a doctor before using any product. Consult with your physician if you have or have had intestinal obstruction, abdominal pain of unknown origin, diarrhea, gallstones, or any inflammatory condition of the intestines (Appendicitis, Colitis, Crohn’s Disease, Irritable Bowel, etc.). Discontinue use and consult your doctor if any adverse reactions occur.